Danny McBride was featured in a behind-the-scenes photo with Alien: Covenant director Ridley Scott on what looked like the bridge of the Covenant. Most speculated that he might be the ship's pilot and now he has confirmed just that. "I’m the pilot of the spaceship Covenant, which is a colonization ship, searching for a planet where we might start life anew. I run the ship." And from the sounds of it, the shoot has been more practical than he anticipated. "I didn't know if it would be all green screen, but most of the stuff is practical effects: when you're running from an alien it's really a dude in an alien suit coming after you! The sets are incredible and you're in them: We go through some inclement weather at one point on the spaceship and this whole gigantic set is on a gimbal, shaking up and down. You don't have to use your imagination." McBride is typically known as a comedic actor, so his casting in the movie was a bit surprising at first, but being the pilot will probably give him a chance to play to his comedic strengths. Because most of the crew did not make it out of Prometheus alive, the only returning characters for Covenant will be Michael Fassbender as David and Noomi Rapace as Elizabeth. 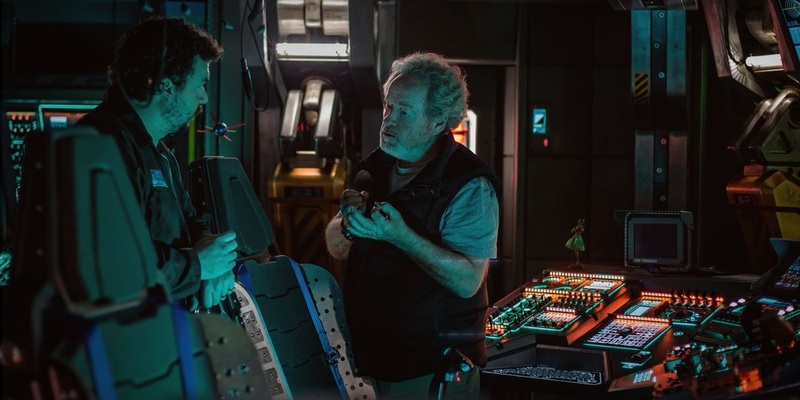 Alien: Covenant hits theaters on August 4th, 2017.